Back in 2001, I picked up a 1964 Fairlane with a 170 inline 6 and a 3 speed. The owner was getting rid of it, and the junkyard towtruck was on its way. A friend started talking to the guy and found out that the junkyard had offered him $100, so he offered him $125, bought the car, and pushed it into his garage. He then sold it to me for the same price. 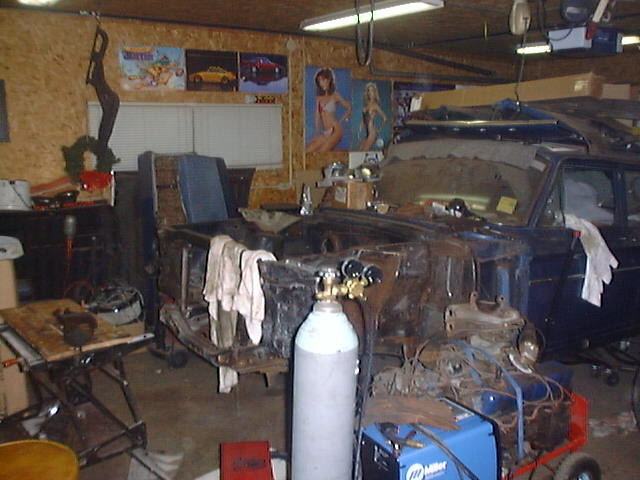 The plan at the time was to put in a 302, C4 trans, fix it up a bit, and use it for a daily driver. Plans changed a bit as I discovered that repair parts were readily available, probably due to a decent sized market for Thunderbolt clones. 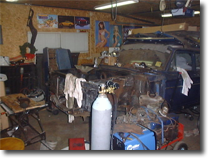 The plan then became to replace the floor with patch panels rather than sheet metal, build the 302 a little better than stock, put in a 5 speed overdrive manual, install disc brakes on the front and a dual resivoir master cylinder, and get a posi for the rear end. 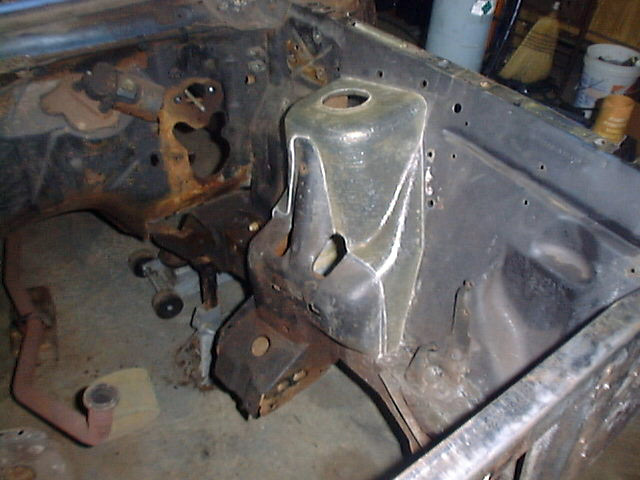 I then started on the front end. 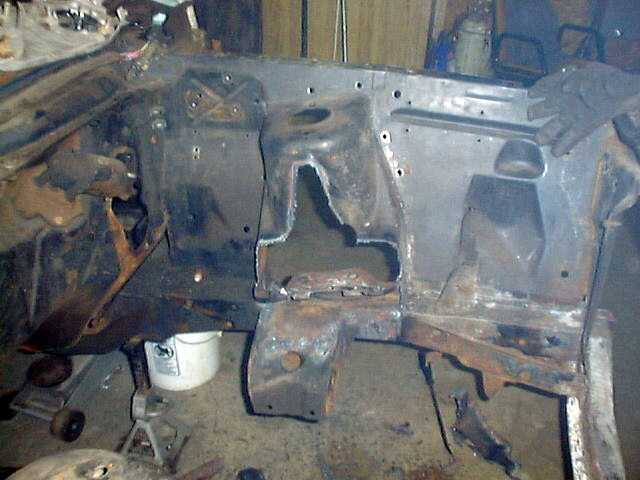 The radiator core support was kind of rotten, so I stripped the entire front end, and patched that up. Since the engine bay was empty, I cut the shock towers down with a kit from Crites, maybe I'll stcik a 429 in there one day. Got a pair of granada spindles, and installed those, as well as new disc brake rotors. 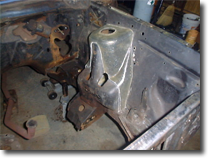 The lower control arms looked a little shabby, so I boxed those in, and reinforced the top with some 1/4" flat stock so I could install a 1" sway bar without it tearing out. In the past 15 years, I know that someone has started making adapters for disc calipers that use the original spindles to avoid the issue of bump steer, I'm not sure I kept the original spindles or not though. Regardless, I'd rather put up with bump steer and have modern brakes so I'll see how it works out. At this point, work came to a stop as money was a bit tight, so the car went into storage for a bit. Then we had a house fire, followed by unexpected twin girls, followed by a stint coaching football and baseball with my sons that lasted 10 years. 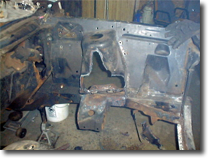 Still left to do is the floor, the rear frame rails are pretty bad, the rear suspension, a T5 trans, a posi, the interior, patching the rear quarters and front fenders, some other dings and dents, paint, and put it all back together. have a few more projects on the to-do list that I need to take care of, but hopefully I'll be able to start back on it in the near future.